There are no comments for Power In The Pause. Click here to post the first comment. 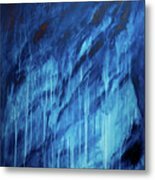 The intense blue found in this piece was chosen to represent the power of color, even when standing alone in a composition. 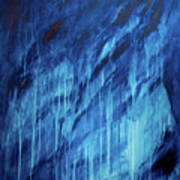 I find blue to be an enriching paradox–its many hues bringing bold brilliance, yet inviting calmness at the same time. Color is powerful–able to change the atmosphere silently and cause its observers to pause in the process. 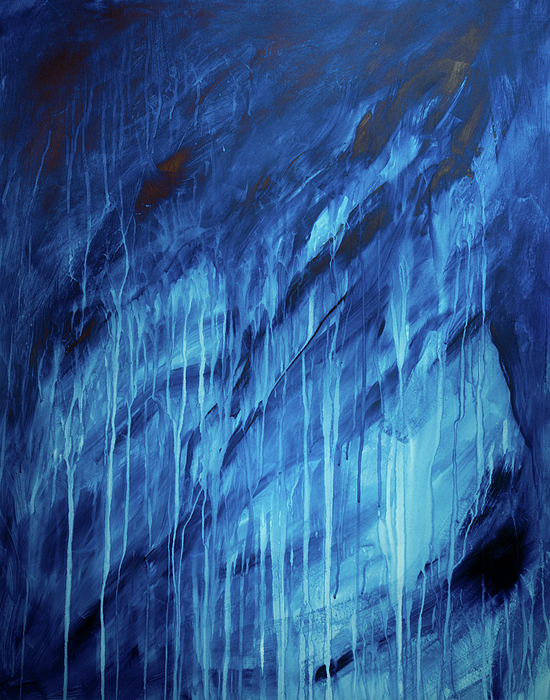 This painting was created to reflect that process. 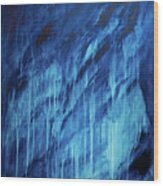 It was created with one color to cause its viewers to pause for a moment...I have found the most powerful moments of life often exist in the "pause." Amarey is an abstract artist who enjoys creating paintings that host both a sense of invitation and beauty. Rich with color, many viewers find the bold strokes in the artist's work to reflect the paradoxical relationship between fluid motion and calm serenity. Amarey has found a creative way to masterfully marry free-flow style with contemporary design to create original artwork–speaking life, beauty, and richness into every environment her art is displayed.